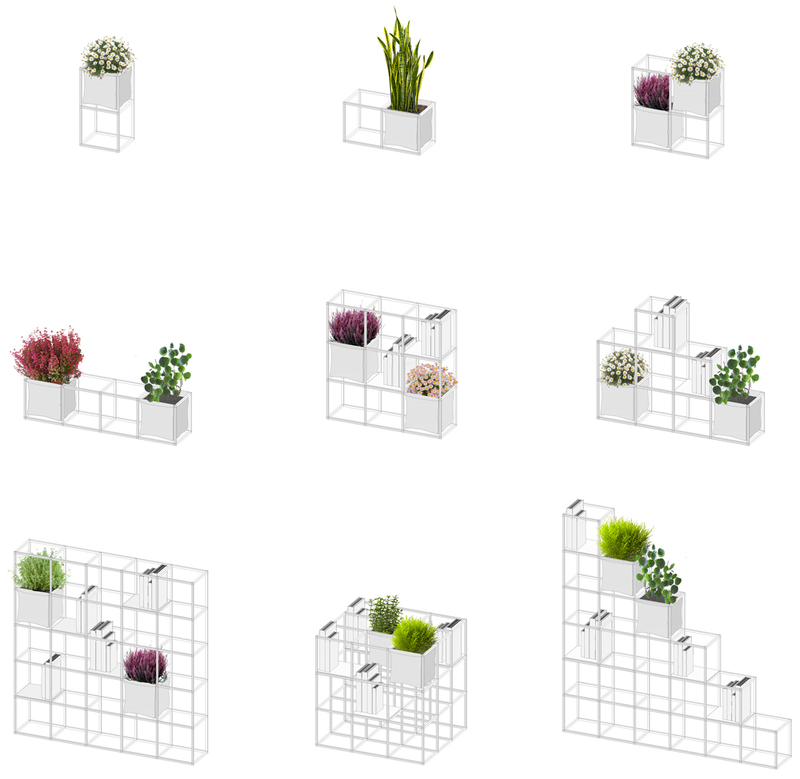 Italian design studio Supercake has created a customisable shelving system for growing and displaying plants, which is aimed at people living in rented accommodation (+ slideshow). 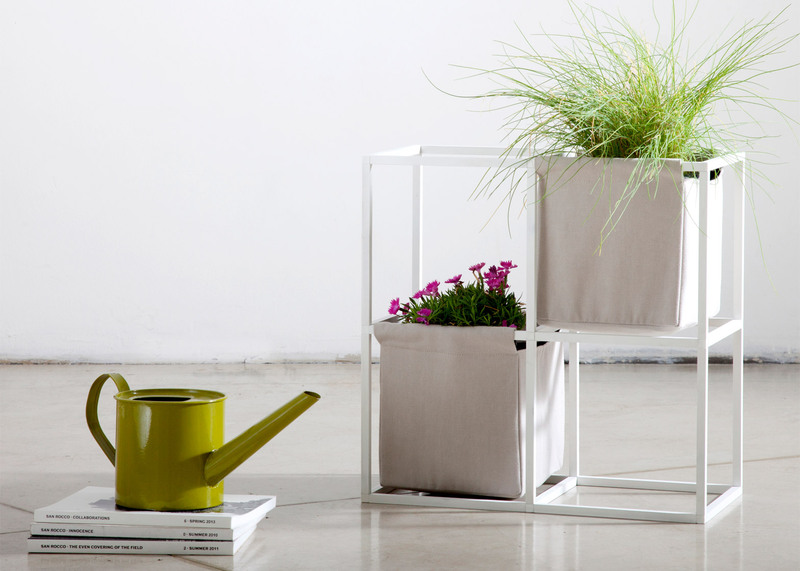 The iPot uses interlocking aluminium rods that can store a single plant or create an entire unit of greenery. The system is purchased as modules, which are then assembled at home. 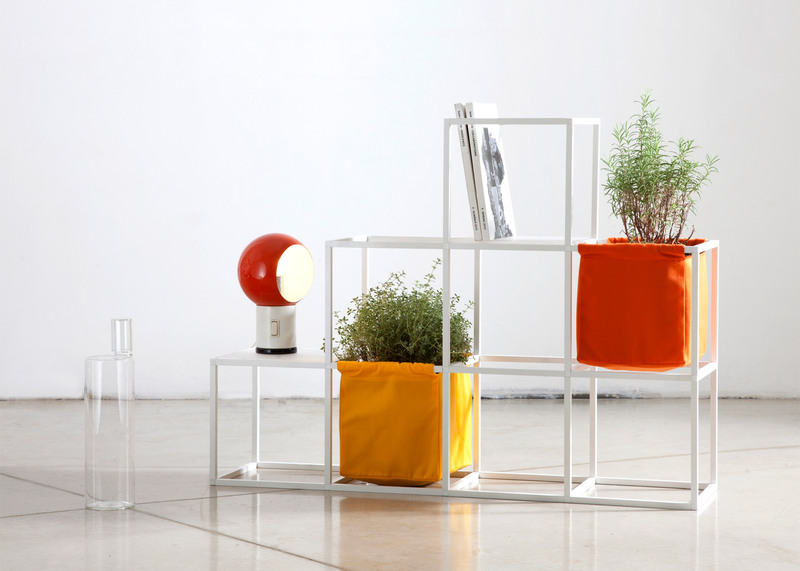 Plants are stored in flexible bags that are threaded onto the framework. 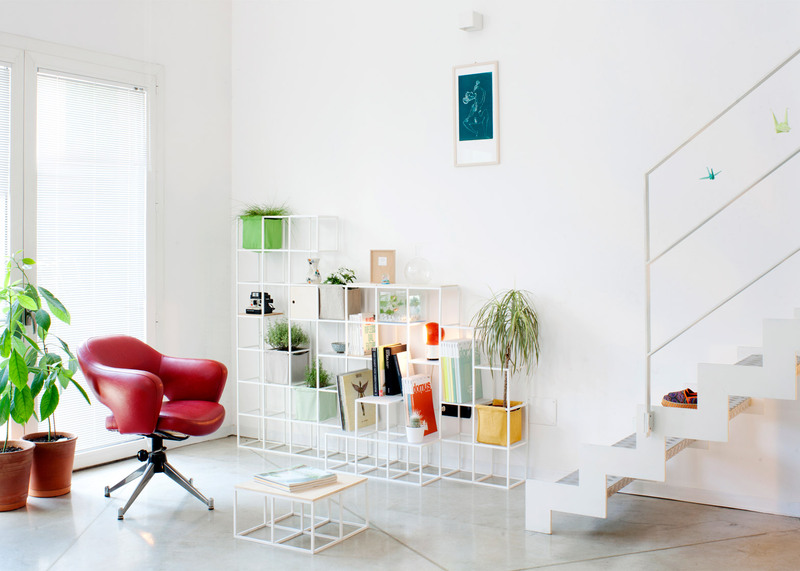 There is also the option to add wooden shelves for more storage or to transform the system into a bookshelf. 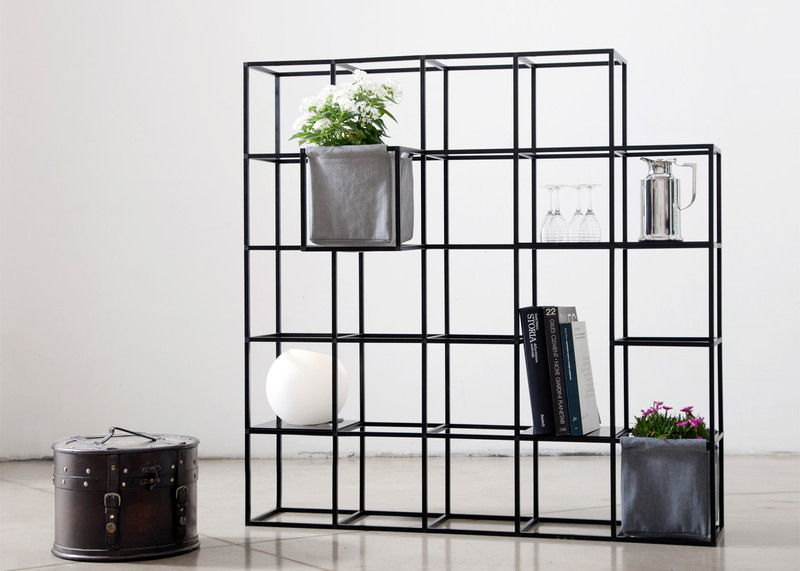 By removing rods, users can leave parts of the shelving more open to allow for taller plants to grow upwards. Plastic joints lock the aluminium rods into place. The system is aimed at the growing number of people who are living in small, rented accommodation, and can easily be taken apart for transport and reassembled. 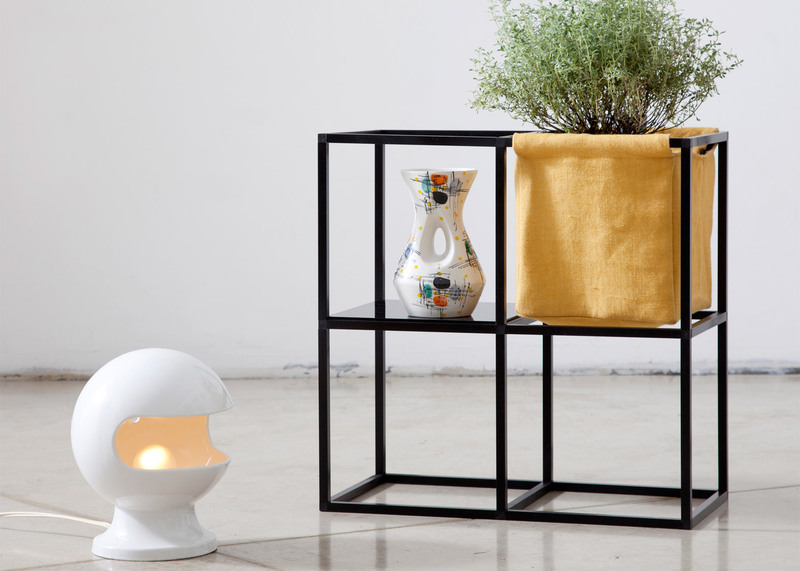 "Today we live, more and more, in small multifunctional places where needs are different and very subjective," the studio's Laura Imbriani told Dezeen. "We move easily from one place to another, changing our life context for various reasons." 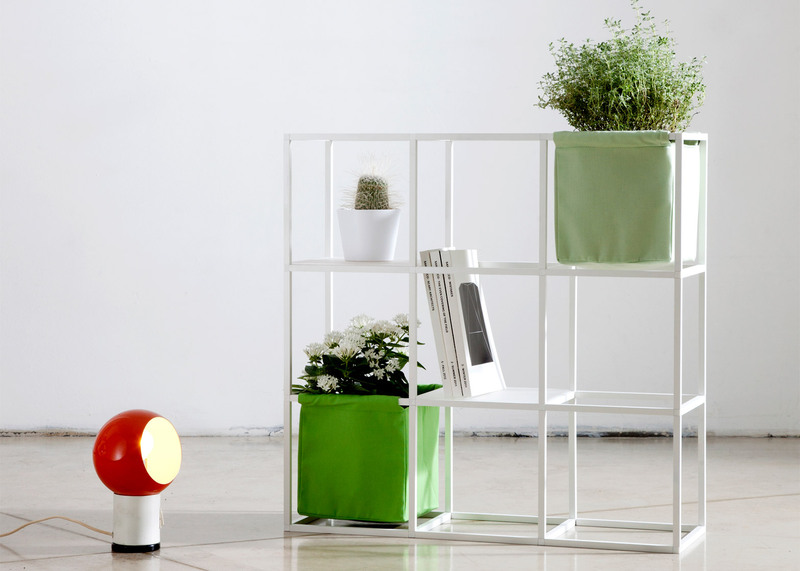 "iPot is designed to allow a contemporary way of life, in a smart, simple and green way," she added. "It can be made and remade." 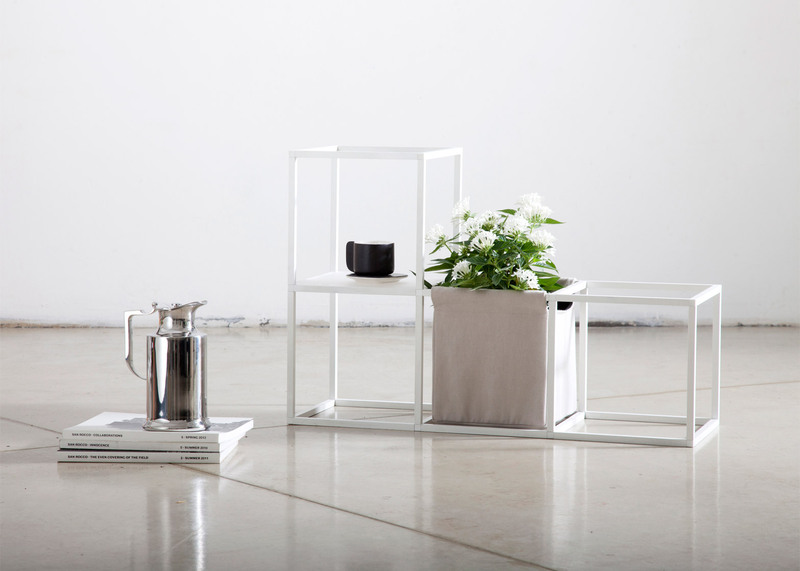 The shelving can be expanded outwards as well as lengthways. 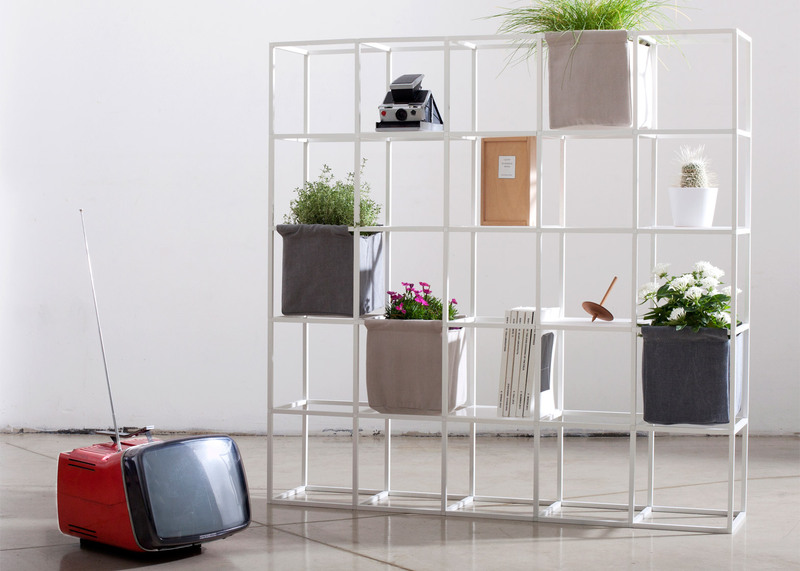 Users can create a room divider by combining several modules side by side. Supercake also offers boxes and fish tanks as accessories that can be integrated into the unit. 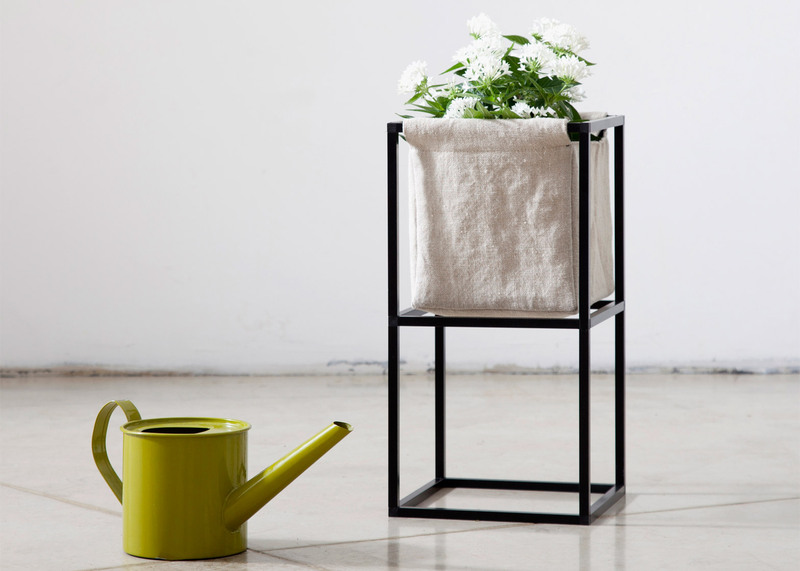 iPot is the latest in a series of products designed for city-dwelling gardeners who lack access to outdoor space. 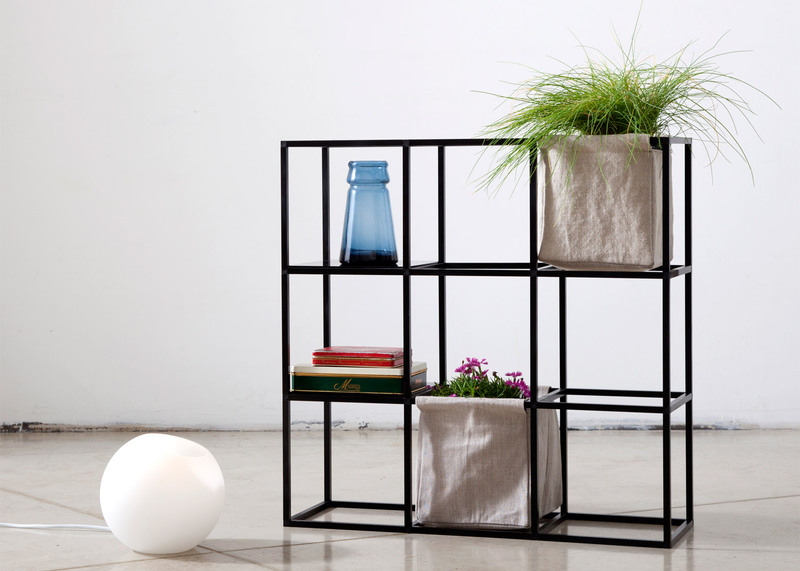 Earlier in the year, Ikea released its home hydroponics kits, which allow plants and vegetables to be grown indoors without soil or sunlight. 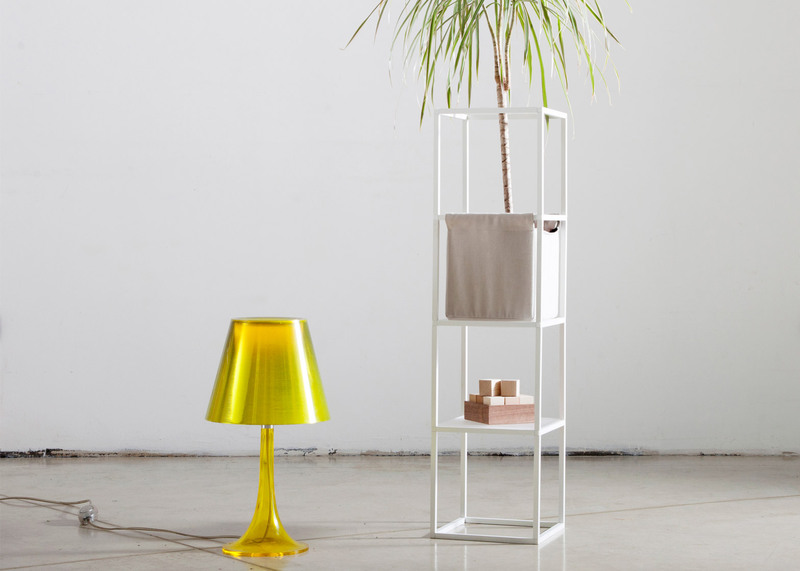 Oslo design studio Anderssen & Voll has also designed products for tending to indoor greenery, creating a set of gardening tools that includes a watering can with a long, precise spout.